RUSSIA. Moscow. May 8, 2015. 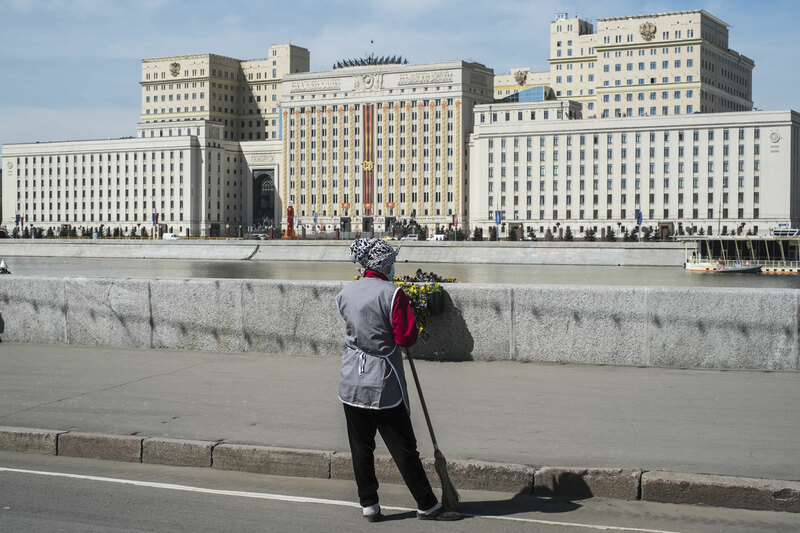 City staff cleans the sidewalk of the Pushkinskaya embankment in Gorky Park.